The United States Digital Service’s second birthday is Thursday and even though it lauds two of its best accomplishments as expanding an administrator’s tie collection and having the most unique décor in the White House, it has improved the usability of several of the Federal government’s online projects. USDS launched an app to help veterans get access to health care, consolidated resources for veterans on Vets.gov, and sped up the Veterans Affairs disability compensation process with Caseflow Certification. USDS participated in creating the College Scorecard, which gives students and parents a way to make an informed college selection; and establishing a website to help students navigate loan borrowing and repayment. USDS digitized an external application and internal review process for immigration applications and requests, including the green card renewal application; and launched a digital stamp approval process for agencies processing refugees who have been interviewed and have cleared security and background checks. The digital service team also assists in the day-to-day maintenance of HealthCare.gov, which helps Americans sign up for access to health care provided by the Affordable Care Act. It also started Medicare payment reform at the Department of Health and Human Services and allowed the Precision Medicine Initiative to acquire more knowledge for the development of individualized care. USDS established Secure Access, which provides security to taxpayer information through identity proofing and two-factor identification. “Secure Access ensures that users have convenient, real-time access to their transcripts while protecting taxpayer information from automated fraudulent attacks,” stated the blog post. USDS is transitioning the Department of Defense travel system onto the cloud and launched Hack the Pentagon to challenge white hat hackers to find weaknesses in the DoD’s digital security. USDS also worked with the Air Force to decrease costs and schedule the release of the next generation of the U.S. Global Positioning System (GPS). “The next iteration of GPS will provide dramatic improvements to location accuracy and signal acquisition to continue supporting capabilities for billions of people across the globe,” the blog post stated. USDS is working with U.S. Customs and Border Protection on a system that will collect and analyze data on U.S. imports and exports. USDS has helped improve Federal information technology procurement by creating a team to help the government make better purchasing decisions. The digital service team has also unified digital standards across agencies and recruited 170 technological professionals to work for the Federal government. 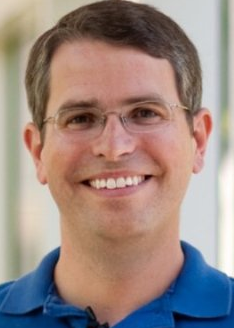 One person that the USDS recruited is Matt Cutts, software engineer for USDS and former head of the webspam team at Google. The USDS’s long-term goals are to improve usability of digital services, rethink how the government acquires digital services, create common platforms and standards, and recruit technology professionals to the government.